In Special Education there are often many uncommon or confusing terms and acronyms used. 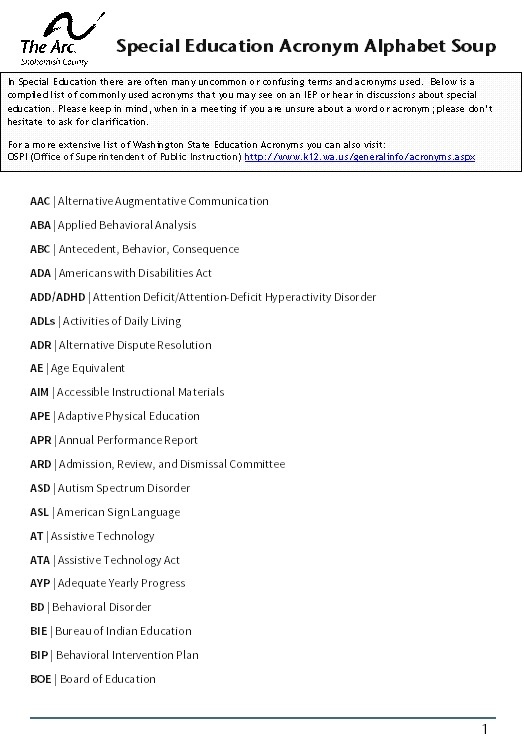 This document is a compiled list of commonly used acronyms that you may see on an IEP or hear in discussions about special education. Please keep in mind, when in a meeting if you are unsure about a word or acronym; please don’t hesitate to ask for clarification.